No one believes in magic anymore. How can we believe that there is something else, when science tells us that it is impossible? But the fact remains that there are things that we just cannot explain. Things that physics did not teach us in our time. Breaking glasses is my speciality. We think of glasses in their crystal form. They live on shelves aligned in shining rows. They sparkle when you shine a light on them. And yet, you know that they can break. You see, I do it with my thoughts; across a room. They don’t just break – they implode. I do not want to hurt them – only change their form. They go back into themselves; they smile and laugh at me and then change into a pyramid of crystal diamonds. My mind makes objects jump and dance, and it is physical. It scares me because I do not understand. 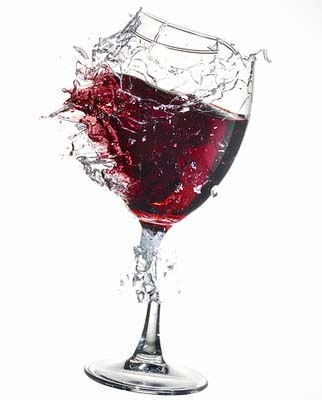 How can you explain that a glass of red wine that you are drinking suddenly changes its form in front of you? That in milliseconds of time leaves a mound of shining bits of glass like ruby coloured diamonds in a perfect pyramid just one inch high? You simply say, it is impossible. I went out for dinner on my own one night in Barcelona on Christmas Eve. It was a beautiful little restaurant and the food was great. There was a group of happy people on the table next to me and I was on my own, so they invited me to join them. I was delighted to accept. On the shelf above their table on the wall there was a row of glasses, and I knew what was going to happen. They did their thing and imploded one by one in perfect harmony into pyramids of crystal. They cracked like someone playing notes on a piano, and the laughter on the table of my new friends stopped too for a few seconds. I said ‘Lo siento’, I am sorry. But they had not noticed it was me. Thank God I thought, because they hadn’t realised what had just happened – the fireworks outside. Now of course you won’t believe me and you would maybe right in that, or would you? Last night when I was writing this story the headphone cable for my iPhone flew across the room and landed on my sofa. It didn’t surprise me, but then I realised that it had been plugged into the ‘phone. I told it to calm down, and it just lay there like a snake and watched me write my story . . .